Cats are notorious homebodies, but just because they live tethered to their home base doesn’t mean their owners have to do the same. Whether you travel for business or pleasure, doing so as a cat parent takes careful planning. And, if you choose to travel internationally, those plans can require a bit more attention to detail. First thing’s first, the logistics– what do you need to safely and legally travel with your cat internationally? Are there available accommodations for your pet at your destination? And most importantly, is your cat fit to go on a long-distance trip, physically and emotionally? Before you and your furry companion embark on your international voyage, there are a few matters you need to get in order, including researching your destination, certifying your cat’s health, understanding your travel options, and packing the right gear. That is a lot to do, so start early since some of the third parties you will need to interact with may have their own timetables. If you leave it all to the last minute, you and your cat may have to endure undo stress, or worse, canceled plans. If you are traveling internationally, chances are good you will be traveling by plane. Commercial airlines have their own rules in regards to the transportation of animals, such as how many can travel at one time and the method by which they can do so. The U.S. Department of State recommends double-checking the policies and procedures of your airline carrier, as they are always subject to change, and may vary between providers. Prior knowledge of airline rules should not be relied upon as updates may have occurred since your last encounter. Each country has its own set of requirements for animals entering its borders, in an effort to reduce the risk of introducing foreign disease to the local fauna. Some nations are more strict, allowing entry from only specific regions or requiring quarantine for a period of time that may end up being longer than your stay overseas. Other countries have requirements that are unique but not very intuitive, like Costa Rica which requires you to present the market value of your pet by either a letter or invoice upon entering the country. According to National Geographic, all countries require vaccinations and proof your cat’s health is in good standing. Other requirements may include the implantation of a microchip for identity verification. While this may seem extreme to some, 80% of non-microchipped pets that get separated from their owners are never found. Know the ins and outs of your pending destination, and discuss the details of your trip with your cat’s vet, so as not to overlook any prerequisites. 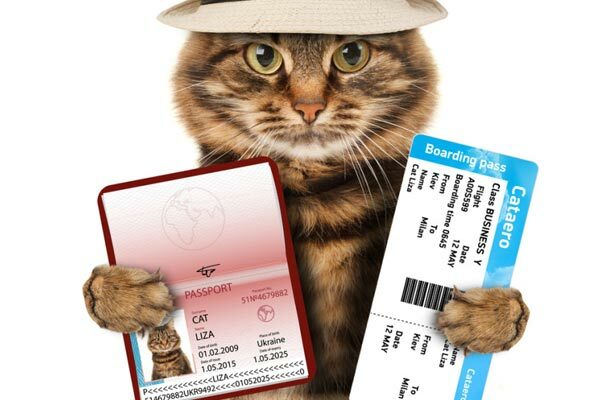 Pet passports are also available to aid in keeping all of your cat’s entry documents organized. Just as flying can present complications for humans with health concerns, so too is the case for cats. That is why airlines usually require a certificate of health issued within 10 days of departure. Your vet can also instruct you on how to tend to your cat’s basic needs, such as providing adequate food and water, and any special needs such as administering medication or other medical care. When complete, your health certificate should include your cat’s name, breed, color, age, country of origin, and the name and contact information of its owner. It should also note that your cat is healthy and up to date on all required immunizations. Keep in mind there are countries that will require your health certificate to be translated into one of their approved languages. We’ve all gone on trips only to discover that we forgot to pack a small yet essential item— a toothbrush, that extra pair of socks, or worse, a bottle of medication. The consequences for missing an item on your pack list can be doubly worse when it belongs to your cat. Depending on your destination, those forgotten items may not be readily available at local outlets. In addition to the standard traveling crate, USA Today recommends packing the following items: leash, toys, food and water (along with their corresponding bowls), a portable litter box and extra litter, a scooper, bags to dispose of waste, and blankets or bedding. Also, consider alternative methods to a carrier, such as backpacks or specially designed apparel, to grant you and your cat greater flexibility upon arrival at your destination. 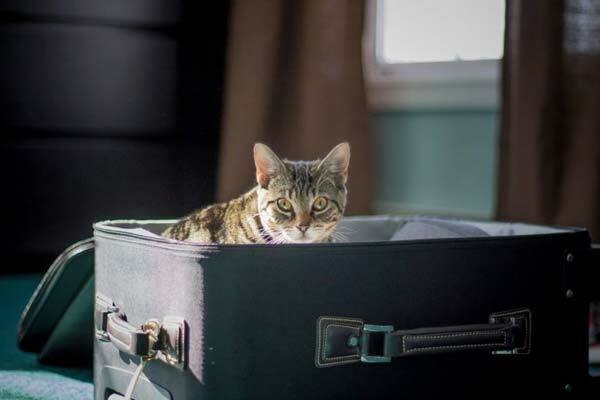 Veterinary behaviorist E’Lise Christensen, with the Veterinary Behavior Consultants of NYC, suggests investing adequate time into preparing your feline for their trip. Since cats don’t typically enjoy traveling, the stress of an international flight may cause them to act up. However, with a bit of effort, you may be able to ease their anxiety and make the trip more bearable for you both. If your cat isn’t already used to being in a carrier, a few weeks of training will do you good. Get them comfortable with being inside through the use of positive reinforcement such as dispensing treats or playing games in or around the carrier. As mentioned in an article by the Huffington Post, renowned pet guru Cesar Millan also recommends the use of scented oils to help your cat can associate the crate with a safe space. Prior to departure, do your best to lull your cat into a state of contentment. Groom them, play with them so as to burn off any excess energy, and consider the use of natural relaxation products. The use of tranquilizers to sedate an animal during flight is discouraged by numerous institutions because of the potential complications that can arise, however, natural sedatives may be an option. Consider your cat’s temperament and needs when choosing a travel method, but keep in mind that the choice may not be up to you. According to the CDC, countries can have their own parameters on how an animal can enter. Airline carriers in the United States may even restrict what months of the year an animal can travel based upon the average temperatures common for that season. Pets can travel on commercial airlines one of three ways, but not all companies continue to offer all three. They also recommend checking the airline’s history of incidents, which may include pets being lost, injured, or dying, before making your decision. The first way your cat can travel internationally is on the same flight as you, in-cabin or in the adjacent cargo hold. In this instance, your pet will be classified as baggage, subject to whatever fees the airline charges for additional accompaniment. Some airlines only allow small pets to fly in the cabin as long as they are kept in carriers designed to fit the space. Since most cats fall within the size and weight parameters set forth by airlines this may be a readily available option. The second option involves getting your pet a ticket on another flight. Pets flown this way are considered cargo and thus subject to a higher cost than that of the first option. Lastly, use of a commercial shipping company is the preferred, and sometimes only, an option available by some airlines. According to the International Air Transport Association, cargo holds may allow for a more restful travel since it can eliminate exposure to the external stimuli of traveling in a small space full of strangers. For that traveling cargo, USA Today recommends marking the carrier with your name, the address of your destination, and the words Live Animal with arrows indicating the upright direction of the container. Include a photo on the carrier as an added means of identification should your cat escape mid-transit. The CDC recommends minimizing layovers or breaks in the journey, boarding at the latest possible moment if traveling by cabin and boarding early if going by cargo. Take into consideration the care that may need to be up kept, such as feeding, waste disposal, and the administration of any medications. This responsibility spills over into all legs of the journey, including unexpected delays. Cat Wellness News recommends you inform the airline staff that your buddy is on board so they can be an additional set of eyes and ears, especially when your friend is traveling in cargo. Travel crates should be secure with a sturdy floor and ventilation on all four sides. Wheeled crates are not allowed and it should be sizable enough to allow your cat to move naturally– this includes standing, sitting upright, or lying in a comfortable position. Water and food bowls must attach to the inner front door and be refillable from outside the crate. Do not open or partially unzip the carrier, unless your cat is leashed, as cats are quick and masters of hide-and-seek. 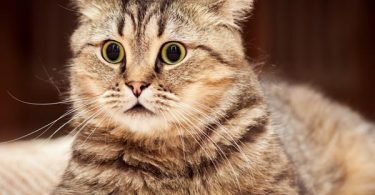 You don’t want to spend the next 12 hours of an international flight on your hands and knees trying to coax your cat from under a seat whilst ignoring looks of contempt from your fellow passengers. It is also recommended to line the crate with pads to absorb waste, as cats have a tendency to urinate when upset. According to Pet Travel, use of a portable litter tray along with a small stock of clean litter can allow your cat to relieve his or herself should the trip take longer than they can hold out. Do your best to comfort your cat throughout the journey. Privacy flaps can help shut out stressful stimuli. Also suggests putting a piece of your clothing in the carrier so that your scent to promote relaxation. If you include toys in the crate, use only soft ones to avoid injury. For cats traveling in-cabin, comfort them with positive reinforcement and distractions like small treats. Do not open or partially unzip the carrier, unless your cat is leashed, as cats are quick and masters of hide-and-seek. You don’t want to spend the next 12 hours of an international flight on your hands and knees trying to coax your cat from under a seat whilst ignoring the looks of contempt from your fellow passengers. If you do need to open your crate mid-flight for any reason, only do so enough to place a few fingers inside. Additional information on choosing a suitable container can be found in documents provided by the International Air Transit Association. Getting to and from your destination is only half of the battle. What are your plans for when you arrive, and how does your furry companion factor into them? Keep in mind they may need extra love and care due to being out of their comfort zone. Is the hotel you plan on staying in friendly to pets— in particular cats? What happens if your cat decimates the room while you are out sightseeing? Is the surrounding locale safe and inviting enough for your cat to enjoy the sights along with you? You can search for cat-friendly establishments. If you can’t find a place in the area you are planning to visit, consider widening the search parameters and perhaps stay a bit further out from your destination, then look into methods of transportation, such as a rental car, to make up the distance. Bring personal effects, like bedding or toys, as the familiar items can help ease their stay in a new space. Pet Travel also recommends bringing sheets to cover any furniture thus minimize potential damage your cat may do. Of course, no one wants to dwell on the bad stuff when planning a trip, however taking the time to consider a few precautions in the case of an emergency will provide you greater comfort and allow you and your cat to fully enjoy your trip. 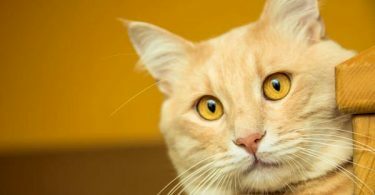 Check out these tips provided by the Overseas Briefing Center on what to do should your cat succumb to sickness or injury, or need to be evacuated. USA Today recommends keeping a photo of your pet with you at all times as another means of identification. Traveling internationally with a cat takes a bit of foresight, but with patience and careful attention to detail, you and your furry friend can enjoy all the perks of border hopping. Simply remember to carry a little bit of home wherever you go and the sky’s the limit.